3ts and WIT joined forces with their suicide prevention and positive mental health initiative ‘Share the Load’ which took place this week on the WIT Cork Road campus. 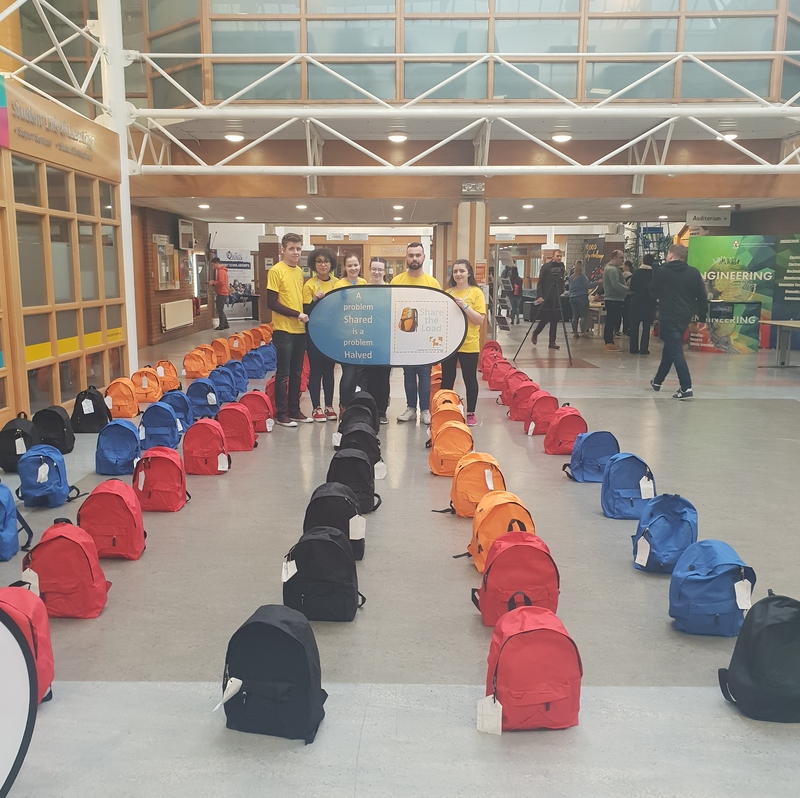 The initiative includes a public display of 124 backpacks, representing the average number of college students who die by suicide in Ireland each year. ‘Share the Load’ encourages conversation about the impact of suicide in colleges in addition to urging students to connect with the many mental health supports provided on campus at WIT and in other colleges around the country. “The main aim of today’s initiative is to reduce the stigma surrounding mental health and to showcase the various simple activities that can help and also the supports that are available for students both inside and outside of WIT” said Darren Malone, Vice President Welfare Officer at WIT. 3Ts also took the opportunity to highlight their complementary ‘3Steps to Mental Health’ programme which aims to foster a better understanding of mental illness; suggests ways to approach the topic if you are concerned for someone and teaches us how to access crisis and specialist supports.